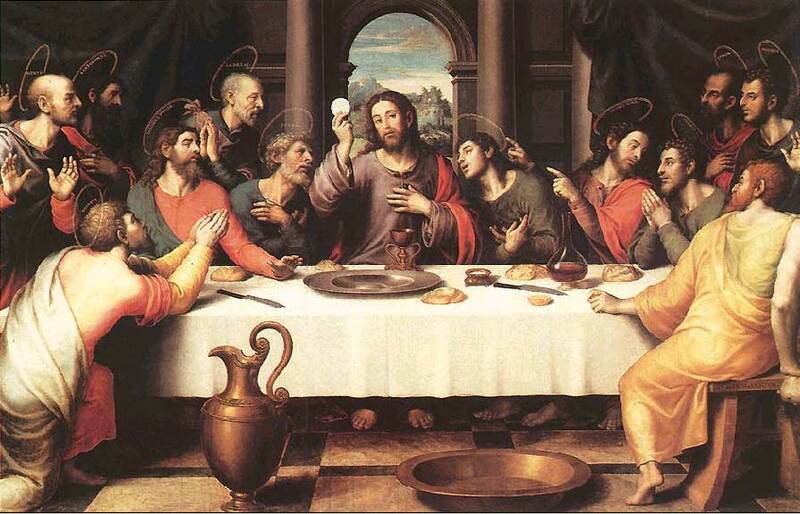 Food and art have long enjoyed a mutually beneficial association. Struggling artists along the left bank of Paris produced works in exchange for food and restaurant owners adorned their walls with masterpieces for free. The Victorians sparked the trend for creating panoramic social scenes, famously revived by The Ivy back in 2001 when they commissioned Ronnie Wood, guitarist from The Rolling Stones to produce an enormous group portrait of some of the most celebrated and influential of its patrons. Back in 1958 scandal was caused in the art world when the Mark Rothko paintings known as The Seagram Murals, were commissioned for the Four Seasons restaurant in the newly built Seagram Building in New York. The commission was famously cancelled by Rothko a year later, after, according to legend, he learnt they would not be for an employees’ cafeteria but for a restaurant for the wealthy. 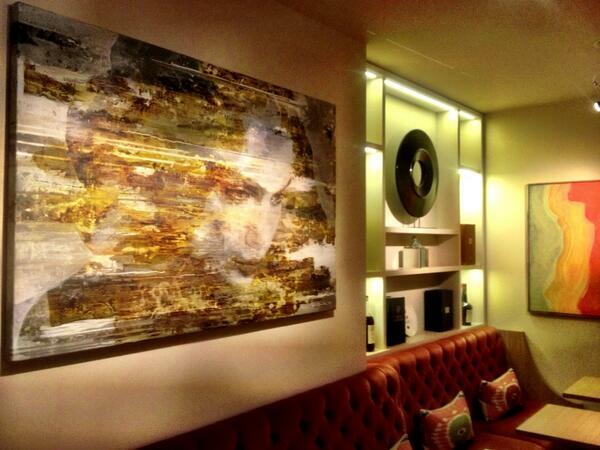 Today we are spoilt with excellent restaurants with amazing works of art adorning their walls. We have picked out just a few of our favourites to share with you. 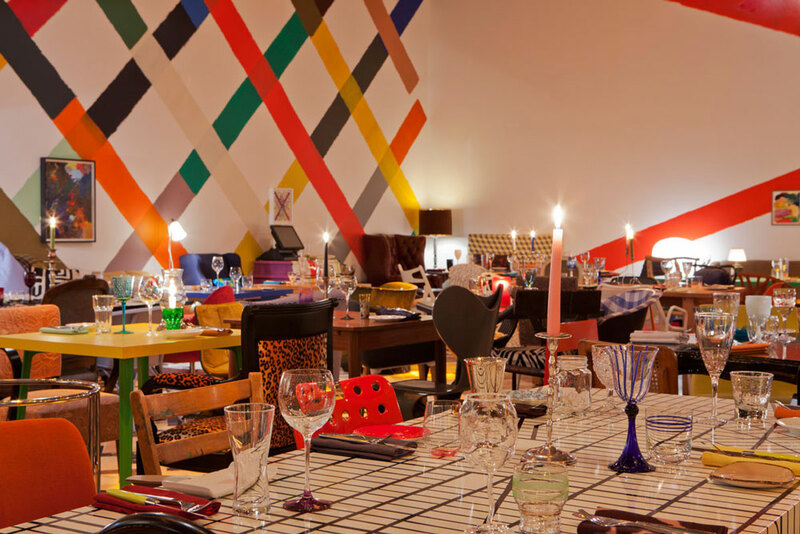 Caprice Holdings’ restaurants have always had a close association with the contemporary art world, featuring works by leading British artists including Damien Hirst, Polly Morgan and Tracey Emin, with many pieces especially created for the restaurants. Often, however, diners are unaware of the significance or story behind the works hanging on the walls around their table. To give more insight into the collections, Caprice Holdings launched a series of Saturday morning art tours. The tours are led by James Cahill from leading London gallery Sadie Coles HQ and examine works at Scott’s restaurant and private dining room, including Gary Hume’s Bouquet and Yoko XIII by Don Brown. The tour then moves on to 34, which features pieces by a new generation of artists including Phillip Allen and David Brian Smith. 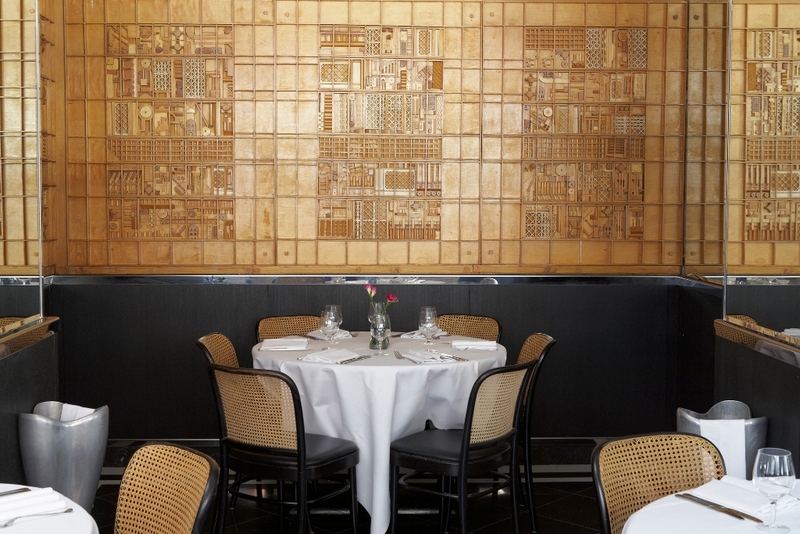 The morning ends at Le Caprice, home to an iconic series of black and white portraits by David Bailey, a collection of etchings by Sir Peter Blake and a site-specific installation by Sir Eduardo Paolozzi. Tickets for the tour cost £15 and include a complimentary tea or coffee at The Mount Street Deli. 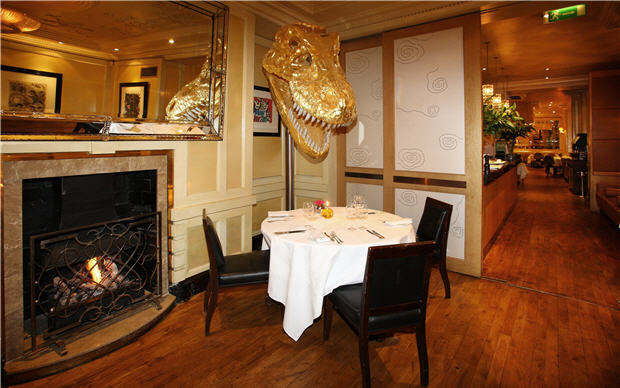 Guests may book tables for a post-tour brunch at Le Caprice and enjoy the restaurant’s art collection from their table. The next available dates are: Saturday 19 October (Frieze Week). See our Twitter competition details at the bottom of this post for details of how you can win two complimentary tickets for the Art Tour including cocktails. For more information go to http://www.le-caprice.co.uk/art-tours. sketch is a complex and unique site. Conceived by French master chef Pierre Gagnaire and restaurateur Mazouz, it has attracted unprecedented media reaction for its myriad food, drink and entertainment styles since it opened in December 2002. Over the past decade sketch has hosted over fifty major exhibitions of moving image in the gallery, including shows by Carsten Nicolai, John Baldessari, Jonas Mekas and Sylvie Fleury, as well as numerous off-site projects such as the CINACT series at The Gate Cinema in collaboration with Serpentine Gallery and international touring programmes such as A New Stance for Tomorrow at Bidoun Artists Cinema, Art Dubai and Volta Film, Tribeca Grand Screen, New York. 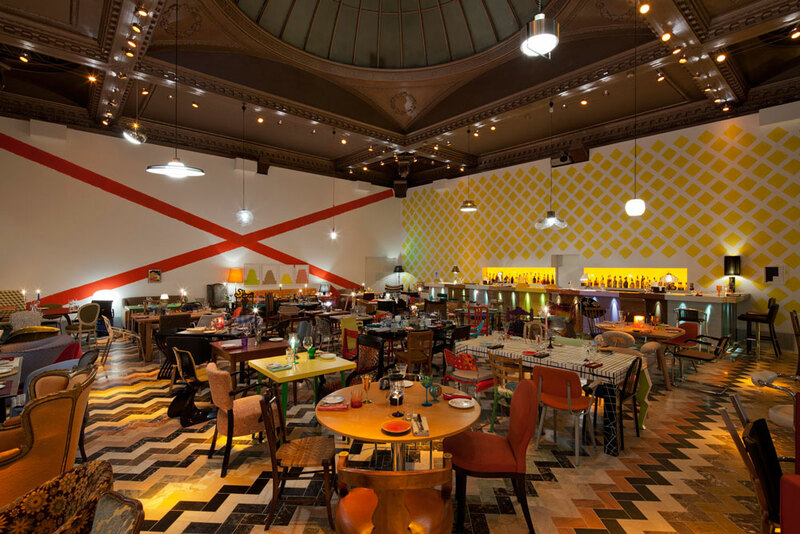 To mark the 10th anniversary of sketch, from 1st March 2012 Turner Prize winning artist Martin Creed transformed the Gallery restaurant in the first of a new long-term programme of artist-designed restaurants for the venue. Through a series of new works both functional and decorative, Creed has created an environment that is at once as an exhibition, an artwork, a restaurant and an Events space. Exemplary of the logical and welcoming systems that recur throughout his work, the floor, walls and furniture take the form of new artworks inspired by the boundaries of art and functionality. Work No. 1347 consists of 96 different types of marble, in a formation of zigzagging lines across the floor, while Work No. 1343 is a new work specially made for the restaurant in which every single piece of cutlery, glassware, lamp, chair and table is different. This work brings together a mix of the mass produced and hand-crafted, from classic antiques to contemporary design from around the world. Four different wall drawings are overlaid by 18 paintings by Creed, including the series of four canvases Work No. 1100 (2011). For more information go to http://sketch.uk.com/. 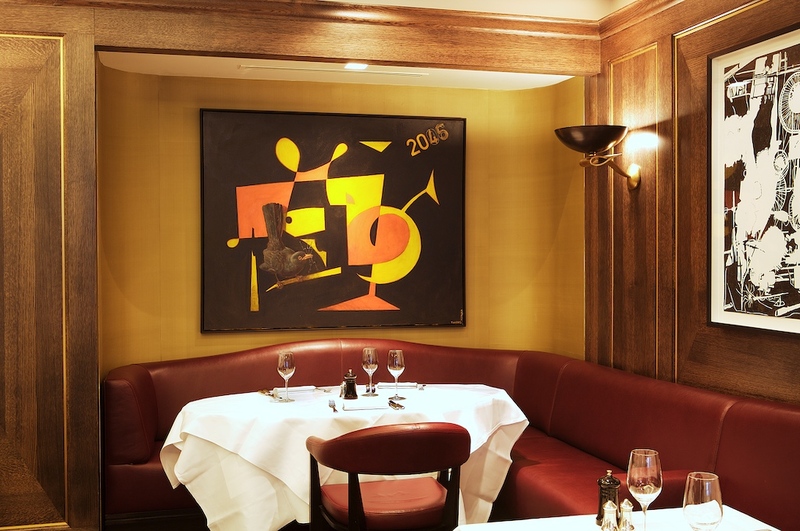 L’Escargot has been a Soho landmark since 1927 and was completely refurbished in 1998 and housed the art collection of the owner Mr Lahoud. The collection includes signed lithographs, bronzes and ceramics created by some of the most celebrated artists of the 20th Century. 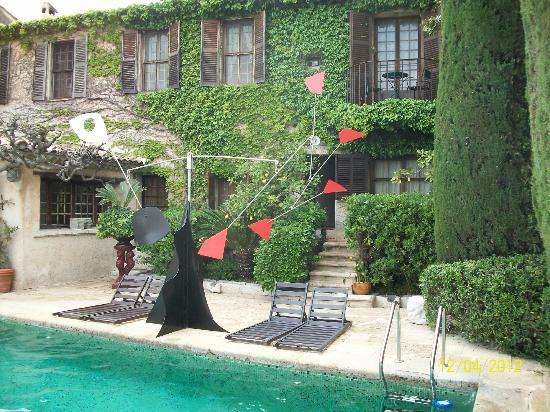 The ground floor has works by Miro, Chagall, Warhol, Hockney, Leger and Matisse. The first floor displays a remarkable selection of Picasso sketches and ceramics together with Erte Bronzes and Edgar Brandt wrought iron. 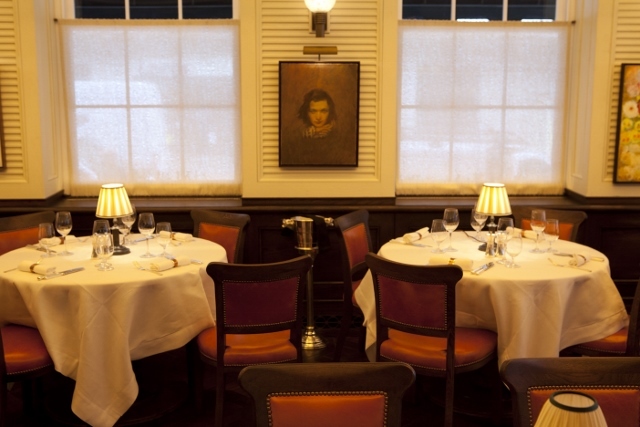 In 2000 the ground floor was made over by the late David Collins to relaunch the unique charm and atmostphere of L’Escargot into the new century. For more information go to l’escargotrestaurant.co.uk. Great Fosters Hotel relaunched its Estate Grill earlier this year with plans to showcase the work of talented contemporary British artists in the new restaurant. They started with work by Jeremy Houghton and an incredibly vibrant colourful series called ‘The Flamingo and The Phoenix’. Their current exhibition, Tidal Paths is curated by Life-the Gallery and features paintings by Michael Prinsep. Michael is the founding artist of two independent arts related organisations – the Artventure Trust 1986 and Creative Response (Arts) ltd 1993 a charity dedicated to providing vital creative outlets for vunerable people in the local area and of which he is currently CEO. Michael’s paintings are mostly set in the locations he gains the most inspiration from – The Isles of Scilly, Pagham Harbour in West Sussex and West Penwith in Cornwall. 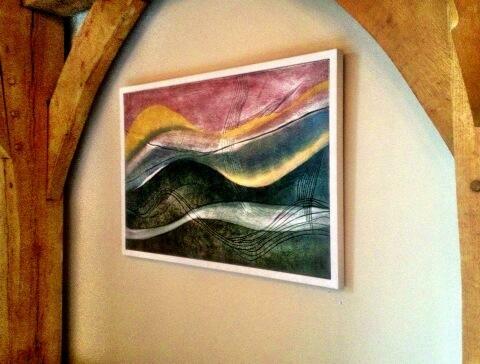 The full exhibition is available to view in The Estate Grill until Sunday, 3rd November 2013 and works are available for purchase. For more information go to www.greatfosters.co.uk. 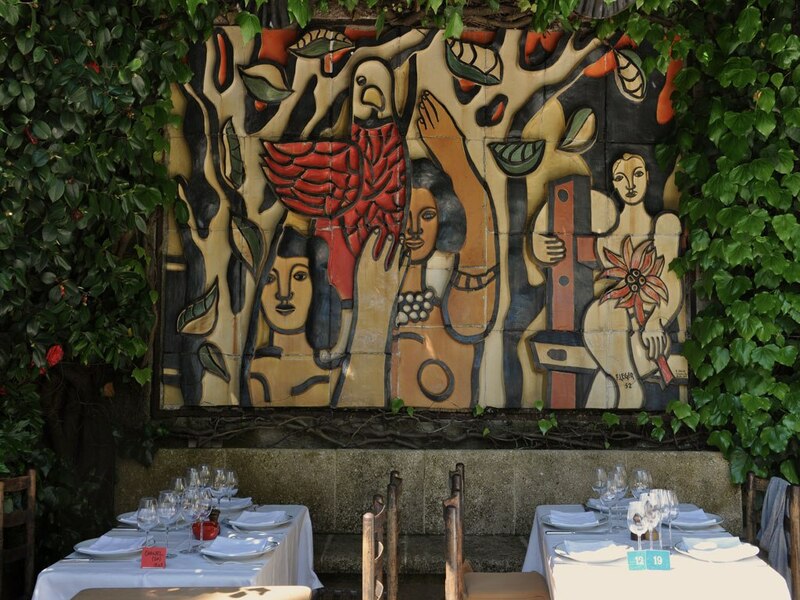 The Colombe d’O started life in 1920 as “Chez Robinson”, a café bar with an open air-terrace where people would dance at weekends. It soon attracted characters from the neighbourhood, which gave the idea to owner, Paul Roux, with the support of his wife Baptistine “Titine”, to extend and reopen as the Colombe d’Or, an inn of 3 rooms. The friendly atmosphere together with Paul’s deep interest in the arts brought the visit of many artists and the walls were soon covered by paintings, which often were exchanged for a stay or a few meals. In 1940 the south became the “free zone” and a whole variety of thinkers and artists moved to the Cote d’Azur turning the Colombe d’Or into one of their places to meet. The careful expansion continued with the facade being assembled with stones from an old castle in Aix-en-Provence and the architect Jacques Couelle designing a fireplace with the hand imprints of the people who helped to build it. The end of the war saw the arrival of the international crowd and the new friendships between Paul’s son Francis and new visitors: Yves Montand, Lino Ventura, Serge Reggiani. Francis married Yvonne a young women of Danish origin and together they followed in Paul’s steps, commissioning amongst other things a colourful ceramic by Fernand Leger for the terrace. The fifties were the time of Miro, Braque, Chagall, followed by the time of Calder, Cesar and all the others, it is also, in 1951, the story of Montand and Simone Signoret and their wedding in Saint-Paul. The art collection has grown years after years until today; the latest work installed is a large ceramic by the Irish artist Sean Scully for the swimming pool area. The Roux family continues to take care of the Colombe d’Or. Win a pair of tickets to the next Le Caprice art tour on Saturday October 19th including a complimentary tea or coffee at The Mount Street Deli. Tickets for the tour normally cost £15.00. 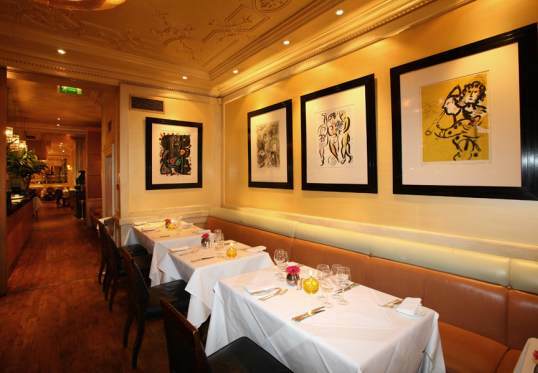 If the winner books a post-tour brunch at Le Caprice to enjoy the restaurant’s art collection from their table, they will also receive a complimentary cocktail each (price of brunch not included in prize). To enter: sImply follow Design Restaurants and Caprice Holdings on Twitter @DRClub @capriceholdings and tweet us using the hashtag #lecapricearttour. Winner will be selected at random from all valid entries. Competition closes Tuesday 15th October at 5pm. Terms and conditions apply, see below. Design Restaurants is a luxury dining club. Not a member? Find out more about our fine dining guide and membership club here. The prize is a pair of tickets for the Le Caprice Art Tour on Saturday 19th October including complimentary tea or coffee at The Mount Street Deli. Winners will also receive a complimentary cocktail if booking brunch in Le Caprice after the tour. Any extras (outside of the above) must be paid for by the winner on the day. To enter, the participant must follow @DRClub and @capriceholdings and tweet @DRClub @caprice holdings including #lecapricearttour in the tweet to be entered into competition. The competition closes on the 15th October 2013 at 5pm. No entries submitted after this time will be accepted. The winner will be contacted on Twitter via Direct Message within one day of the closing date. The winner must claim their prize within 2 days of the notification. If the prize is unclaimed after this time, it will lapse and the promoter reserves the right to offer the unclaimed prize to a substitute winner selected in accordance with the promotion rules. I definitely think that the ambience of a restaurant is helped by interesting art and sculpture. I don’t like rooms that are bare and clinical – if feels like you are eating in a hospital. I went to a place in London called Arzak which looked like it had a load of test tubes hanging from the ceiling – not my cup of tea – I’d rather sit opposite a Picasso! 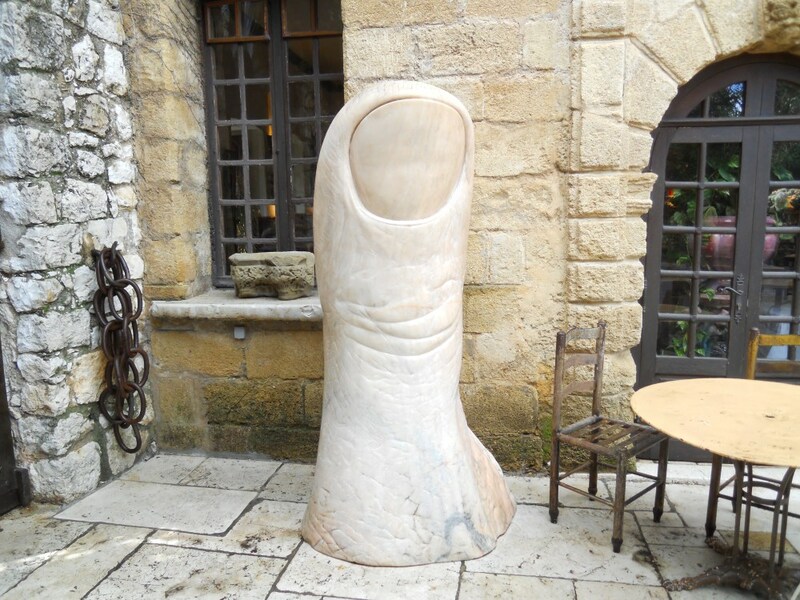 We’ve got some stunning new pieces being installed next week, perfect for adding some character! Send us some pics – we’d love to see them! Wonderful way to enjoy dining out.